Our modern life is getting more complicated every day. We have a long list of things that we have to do every single day. This complexity comes with mistakes resulting from forgetting to do some tasks. Even the simplest task can make a big problem if forgotten. On October 30th, the world celebrates National Checklist Day. The simple tool that reminds us of everything we have to do. Start using a checklist and you will notice a difference. You will hear a lot of myths about the forms of checklists. Checklists don’t have a certain form, do it as you like and keep it as simple as possible. Here are the benefits of starting using a checklist. You will be able to keep everything organized and in the proper order. It is like making a to-do-list to move from a task to the next one without forgetting anything. Anyone has things to do so checklists are not exclusive for certain types of people. If you have things to do on regular basis, make a checklist; that simple. Schedule your activities and stick with your list until you get your entire list done; that is how you are going to make the best of it. Making a checklist will increase your productivity significantly especially with repetitive tasks. Let’s say that you are planning to learn a new skill like Photoshop. In the beginning, you will take a long time to come with an idea and implement it. Repeating the activity will sharpen your mind and make your brain connections work faster which will decrease the time you take to do a design which will lead to increase your productivity. Productivity needs regular exercise and checklists guarantee that you will keep exercising until you are satisfied with your level of productivity. When you keep using a checklist for a while, you will master the things that you have to do which will allow you to think of better and innovative ways to do these things. This will help you to lower your stress level while doing the tasks and to do it with high creativity. When you have the tasks in front of you, you will get motivated to finish them. They are minor goals that should be completed to achieve the major goals. Your performance will be enhanced when you finish a task in your checklist until you get everything done; that is how you are going to succeed. When you do the same task for a while, you will definitely master it. Don’t underestimate any task no matter how small it is. Put all the tasks you want to do in your checklist and keep doing them until you do them effortlessly. If you want to feel accomplishment, break down any task into smaller tasks. You will feel motivated when you finish each small task which will boost you to accomplish the next one until the entire big task gets done. That is the best way to do a checklist. Doctors use a checklist to examine the patients. Statically, the number of deaths dropped by 40% when checklists were first introduced in hospitals. Also, pilots use checklists and the number of accidents dropped when they were first introduced too. 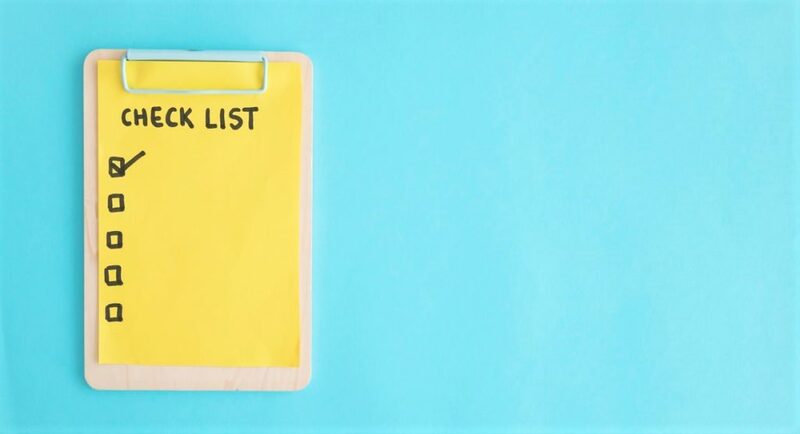 A checklist is the best way to remember everything you want to do and to keep yourself motivated all the time until you get all your tasks done. Try it several times until you make the perfect checklist for your tasks. Again, anyone who has things to do can make a checklist. It is not something exclusive. Start your own list right now and get your things done. Take advantage of this free tool! Happy National Checklist Day!